With the EU General Data Protection Regulation coming into play in the next 12 months, there is no better time to ensure your business data is safely backed up and sufficiently protected from cyber-attacks such as malware as well as fires, flooding and theft. Pros: Automatically backup at your scheduled time with no manual intervention, full disaster recovery in case of catastrophic event in the office. We use a variety of backup tools from leading backup suppliers and store the data in Amazon Web Services, which is highly secure. However, there are several options available in regard to cloud backup depending on your needs. If you do decide to implement on or off-site backup via hardware, we strongly recommend you ensure that whatever device you are using has 265-bit encryption to prevent the data on it being accessed should it get lost or stolen. A robust disaster recovery plan should include a combination of both local backup and cloud backup. We never recommend that a business’s data is solely backed up using a single solution, as should that solution fail, backup will be compromised which could also result in data loss or a potential data breach. 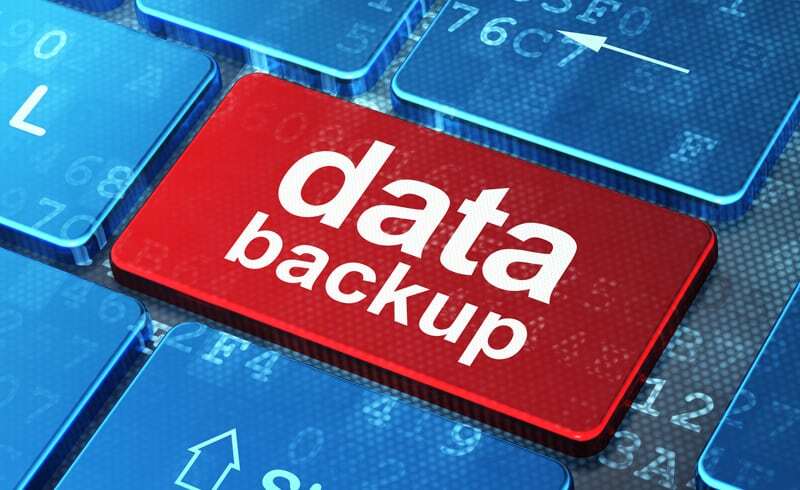 If you would like more information about the different types of data backup and want to find the right one for your business, please get in touch.